The development and utilization of siderite is worldwide difficult problem. The conventional beneficiation methods only can get iron concentrate with iron grade 45–50% and recovery 40–55%; the resource utilization is low. 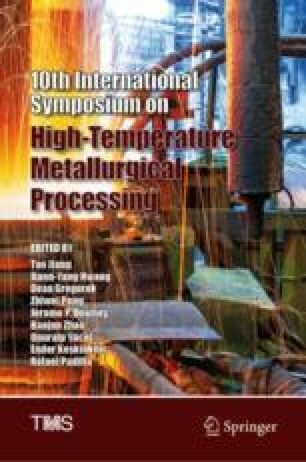 The research creatively applies fluidization technology in aluminium industry to refractory iron ore roasting, aiming at siderite with TFe35.19% and iron carbonate content 91.28%, in the best fluidized magnetization roasting conditions, by one magnetic separation; the magnetic concentrate with iron grade 59.17% and recovery rate 73.74% was obtained; and the index is good. Fluidized magnetization roasting is the proper process for refractory siderite resource; it is of great significance to enhance the competitiveness of domestic iron ore concentrate and ensure the safety of China’s iron ore supply.